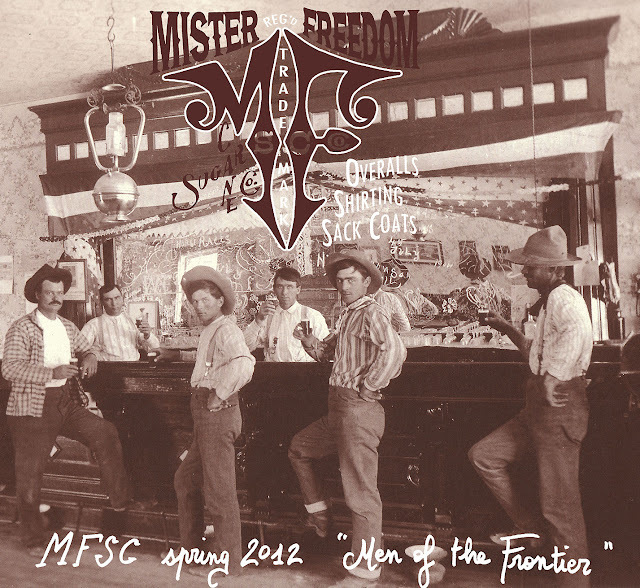 Are you ready for the fourth installment of MFSC 2012 "Men of the Frontier" collection? 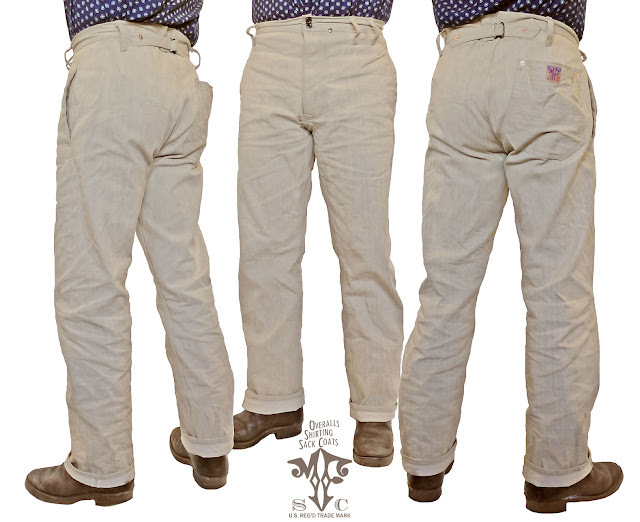 Well, ready or not, the Gunslinger Pantaloons are in stock! 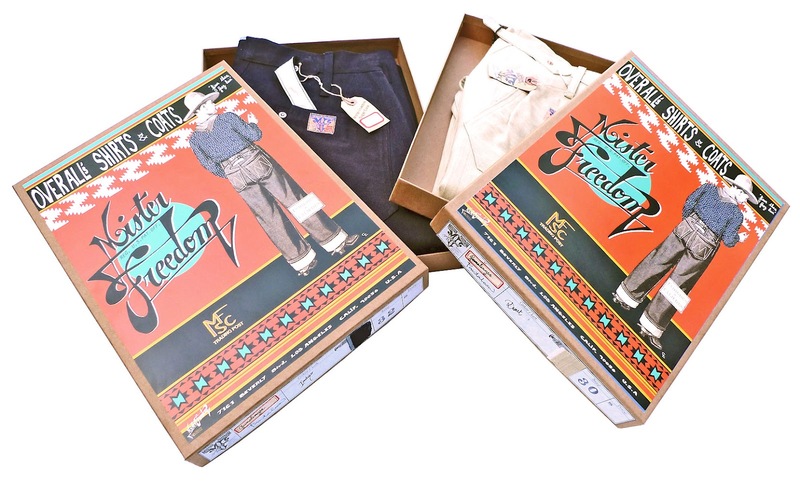 They are available in both indigo and desert denim twill on the Mister Freedom SITE. 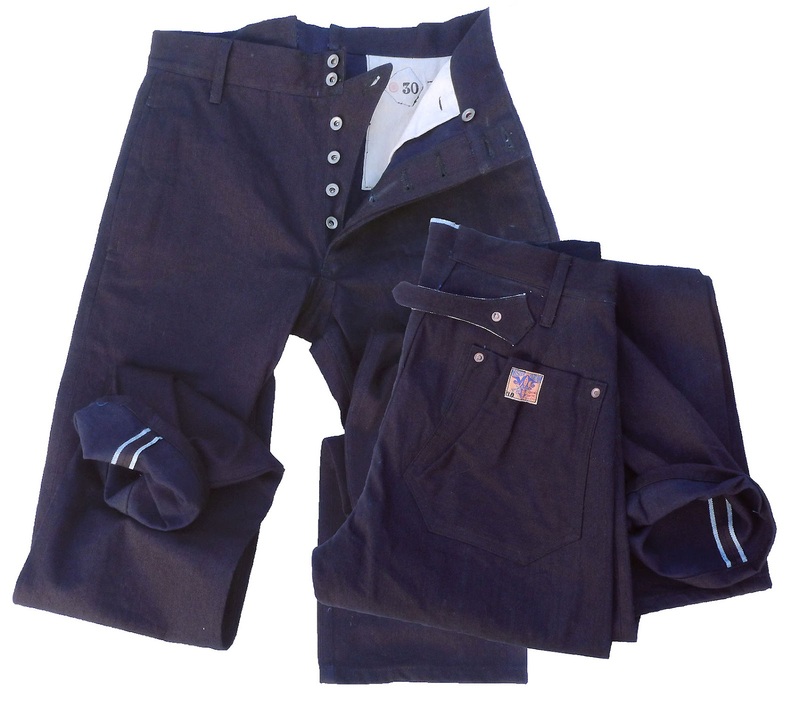 Inspired by the below 1904 photo, they are a very early style, high waisted pants with some very interesting details. Made in USA!